How To Control The Cables In Your Home Without Going Mad! The drawbacks of living in the modern world are plentiful, one of them is the cables you need. Are the cables in your home driving you mad? They seem to take over areas, and they just seem to grow and somehow get tangled all at the same time! Learn how to control the cables in your home! I find loads of cables really annoying, they collect dust and it is just a living nightmare for me! However, there are solutions to your cable hell! How many times do you end up trying to find the right cable and then connecting it to a device? It is a nightmare, and something that drives me mad, I can’t stand seeing cables, but what do you do with them? There are solutions out there waiting just for you, they will control your cables, keep them organized, you might even get rid of one or two! If you can get rid of cables then this is definitely an option I would choose. If your computer can have a wireless keyboard and mouse, this is a must. There is nothing more annoying than trying to deal with these cables, they just get in the way of everything and can make it difficult to work too! There are so many cable controlling products available, you might be surprised at how great some of these are! 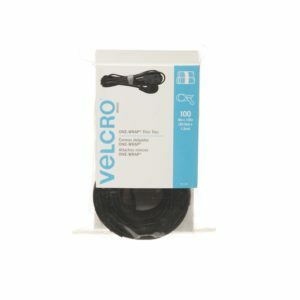 Velcro ties: These are really simple and easy to use. They hold the cable tight in the position that you require, but there are limitations, they can’t hide the cable they literally hold the cable in a bunch. Cable clips: Don’t drop a cable again with these clips, you stick them on to your desk and they will hold your cable until you need it again! If you are looking for a glue free options then this one is great too! 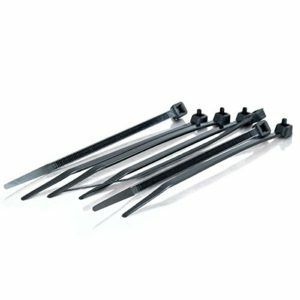 Cable ties: A staple in any electrician’s toolbox! These hold the cable firmly, trimming off any excess, to make it look neat. However, they are not reusable! Holding cables: If you want to hide cables to follow the legs of your furniture these will hold multiple cables firmly, but you will need to stick them to the furniture and this can cause damage if you ever need to move the cable! 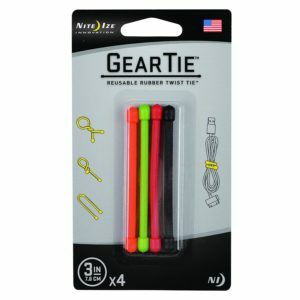 Rubber twist tie: If you are not looking for something that will hide the cables then these rubber twist ties are perfect! They are reusable too! Charging station: If you hate seeing cables, but they’re needed to charge products, using a charging station might be the answer you are looking for! They hide the extension and any cables, often including a place for your electronics to sit whilst charging. Zipped cord storage: Too many cables hanging down your wall? How about trying this zipped cord storage option. You zip your cables up together and you only have one thick cable to deal with and hide! 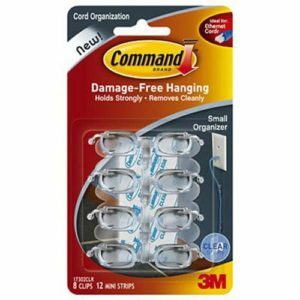 Cord hanging: It is inevitable that you will need to hold a cable in place, whether on the wall or on furniture. You can’t go wrong with this type of cord control as it doesn’t mark the wall or furniture if you get it wrong! I have found that if something annoys me then I need to deal with it. Letting it sit there and continue to annoy me, doesn’t help. You can become accustomed to just settling and not tackle things that are annoying you and this isn’t good for you long-term. You have to find a solution that works for you, one that you are happy with and makes you feel good. When you live in rental properties it is difficult to make things work, you have to think outside the box, hiding cables in a way that you can’t see them but also not damaging the walls. We often used items of furniture to hide extension leads, just so I couldn’t see them! However, while you live there it is your home and you have to make the best of where you are living. Just because you are renting doesn’t mean that you can’t make it feel like home. It is so important that you take the time to label plugs and cables, it is so easy to get them muddled up and not knowing what they are for. The easiest way to label them is with a small sticker and a pen. Therefore, while cables are annoying, you don’t have to let them control your life. Take control of the cables, keep them organized and clean and this will help with the battle of the cables invading your home! Looking for more organizing articles? 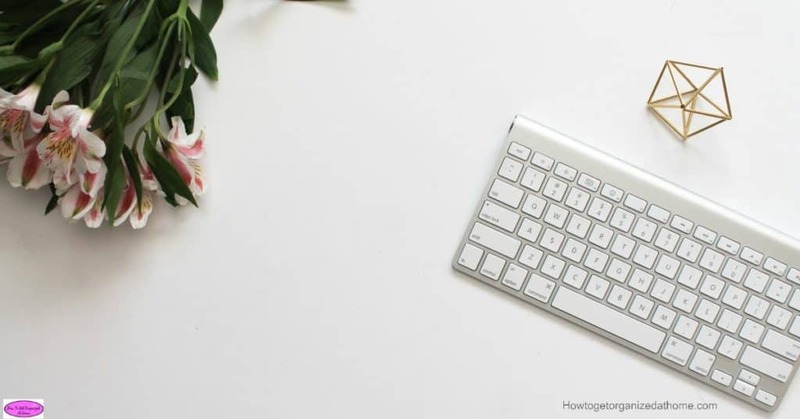 12 Office Organization Tips You Need To Try is a great place to start!